Channel delays: accident on approach road to Dunkirk Port (see below). Diversion in place, allow extra time. Weather delays DFDS Newcastle-Amsterdam (Ijmuiden) today and tomorrow. Check-in as normal. Weather alerts: Amber alert for snow Bavaria, south east Germany. Weather: Heavy snow north. Unsettled in the Mediterranean otherwise dry. Egnatia Odos (motorway) E90: Igoumenitsa-Thessaloniki-Turkey. Road tolls rise by up to 60% from 1 January for all vehicles. 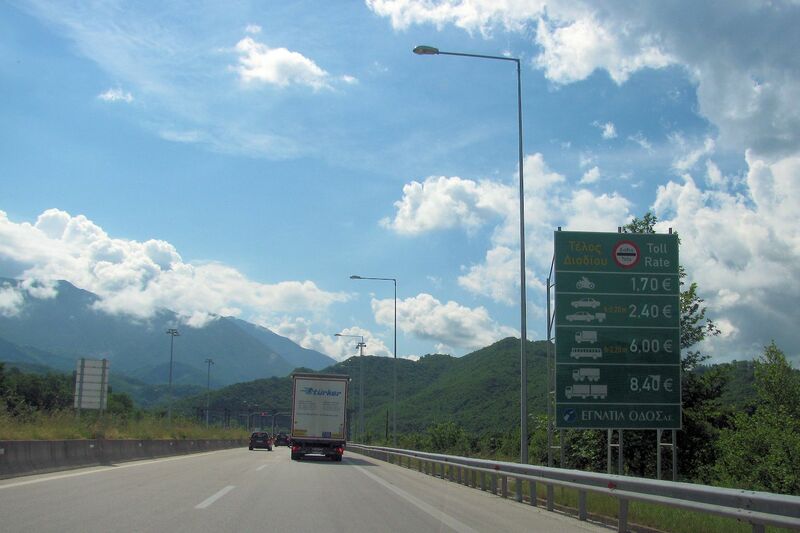 The 625 mile round trip between Athens and Thessaloniki will now cost €60. Rather than more austerity measures, the rises are necessary to adjust the concession contracts under which Greece’s motorways are built and maintained, and to get the go ahead on the remaining parts of the network. ‘By the end of 2015, the country will have the modern highways that we need and we deserve,’ says Infrastructure Minister Michalis Chrysochoidis. As if to demonstrate its road safety policy is not limited to dreaming up ever more elaborate ways to catch speeding motorists, the French Ministry of the Interior commissioned this ‘hard hitting’ advert from Facto Saatchi & Saatchi. 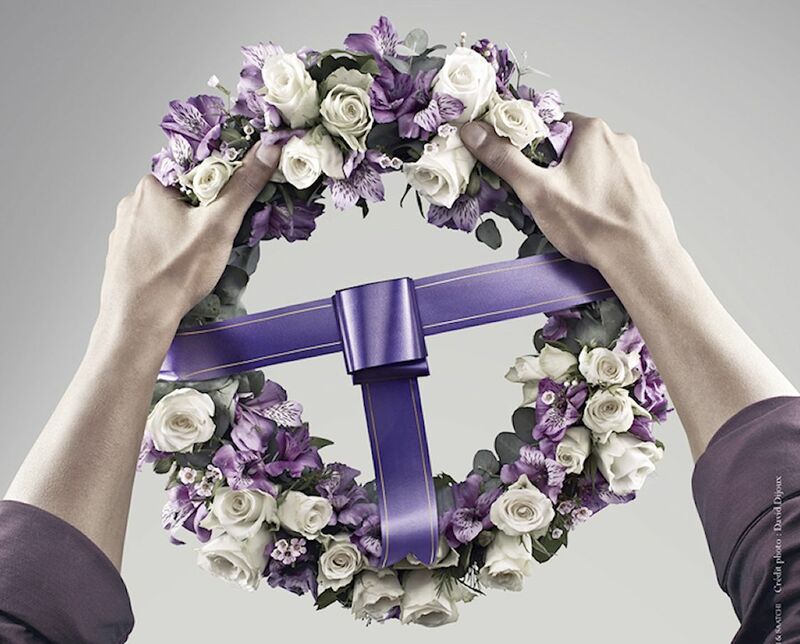 Some might think it a bit literal to compare a steering wheel with a funeral wreath but it’s been an enormous hit with viewers, voted one of the ten best advertising posters in the week of 4 November on minutebuzz.com, according to a press released from Securite Routiere. ALL DRIVERS are advised to keep an extra close eye on their vehicles over the next few weeks. International haulier @BoatShiftSimon saw several ‘douanes’ customs teams in France yesterday on his way north, on the A75 around Clermont Ferrand and again on the A71 at Bourges. The yacht he was carrying was searched at one point by officers carrying tools to check behind panels. The roadside checks also included tourists’ cars and vans. It comes two days after a truck driver was caught smuggling 320kg of cannabis concealed in the roof at Greek port Patras bound for Italy. The inference is that law enforcement is responding to a flood of drugs ahead of the Christmas period. However, a spokesman for Europol tells us there’s no general anti-drug smuggling campaign in Europe currently. Nevertheless, following reports of Blind Mule smuggling in America – where unwitting drivers have drugs concealed on their vehicles without their knowledge – it pays to be vigilant. Clearly, vehicles with GB plates obviously heading for home are vulnerable, as they are to illegal immigrant stowaways. Report any suspicious activity to police on the pan European emergency phone number 112. A spokesperson for the UK Border Agency tells us they cannot comment on any operational matters, or the borders or policies of other countries, or give advice to drivers concerned about Blind Mule scams. 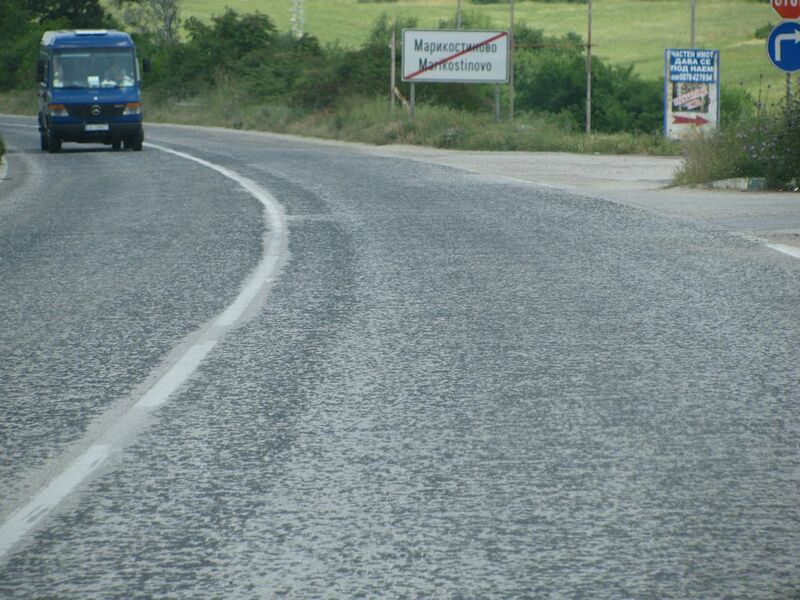 BULGARIA: As a national motorway network begins to emerge – with another 145km currently under construction – attention turns to the main roads, some of which haven’t been repaired for thirty years. Transport minister Desislava Terzieva announced today that 700km of regional roads will be resurfaced in 2014 with additional sums set aside for maintenance and snow clearing. Back in the summer we had a good experience with Bulgarian roads – above the E79 from the Greece border – apart from one massive pothole that necessitated an afternoon shopping trip around Sofia for a new tyre. BELGIUM. Park on the inner Brussels ring road from €5 per day, get free bus tickets and a cup of hot cocoa during the Christmas season. The city council has posted parking arrangements between 29 Nov-5 Jan. There are no preferential rates however within the inner ‘Pentagon’ ring road. The P+R site on the outer ring is free, including bus tickets and cocoa. Check the Grand Place Christmas Market webcam here. Also, shops will be open on Sundays 15 and 22 December, up until 19:00. LITHUANIA. Ignore reports that the 185km, E28 Vilnius-Minsk highway has been refurbished. In fact, just 11km between Vilnius and the Belarus border has been widened, to 9m, with new pavements and pedestrian crossings. It is however back in operation four months ahead of schedule. FINLAND. Amid a debate over de-nationalising roads builder Destia comes the biggest overpayment scandal in Finnish legal history. A cartel of eight private construction companies will pay €40m in damages to forty municipalities after overcharging 15-20% for works done from 1994-2002. PORTSMOUTH. Work starts this week on a new canopy to cover all check-in booths at the ferry port entrance. Should be completed by Easter 2014. DUNKIRK. A British couple died shortly after disembarking the ferry this morning when their car was crushed between two trucks. According to reports, the first vehicle slowed suddenly and the one behind was unable to stop in time. Breath tests proved negative. The road linking the A16 coast motorway and the port is notoriously convoluted and poorly signed. It was closed for several hours afterwards. The couple, both aged 54, are yet to be identified. Would somebody be able to contact me regarding up to date information on Eurotunnel?